Last updated 05 February 2019 . By Anisah Audu. If you didn’t already know that Islington is the foodie capital of north London, now you do. Upper Street has traditionally ruled the roost and last year saw the opening of a multitude of acclaimed venues; from fine-dining hangout 1251 to tiki cocktail paradise Laki Kane. But with the development of luxury apartments and the launch of Coal Drops Yard a few months back, King’s Cross is back on the map. North London's finest, by way of East Asia. Cue Tamashii; the KX spot serving up pan-Asian dishes in lit surroundings... there's literally neon signage dotted all around. Located just a short walk from Kings Cross station and within minutes from the restaurant-laden Pentonville Road and Granary Square, it’s a bright spark in the bustle of N1. So, we just had to check it out. 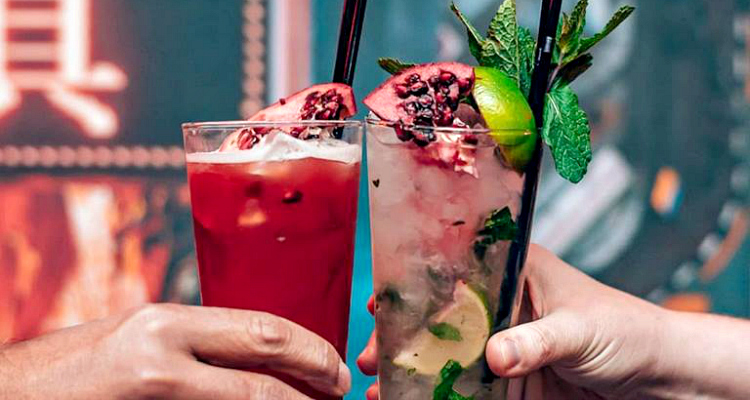 With it being a sad January evening, we kicked things off with a couple of drinks. A gritty Stagger Saurus IPA (£5) for him and a smooth Amazake Mudslide (£6.50) for me. Combining vodka with Mud City stout reduction, rice milk, this was the start of an Asian-centred evening. 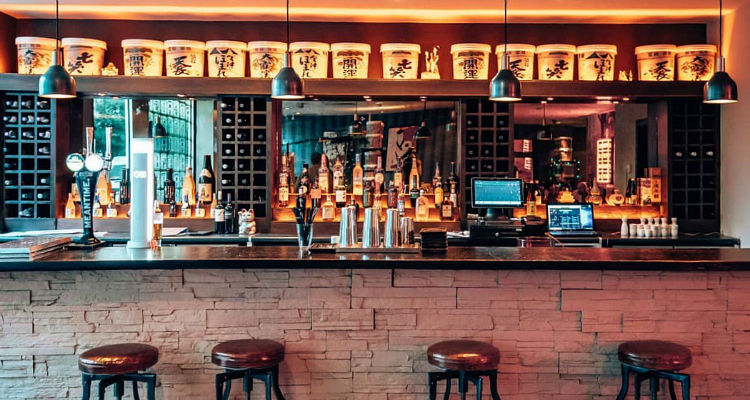 Sake, yuzu and Japanese whiskey permeate the drinks list here. When it comes to food, you can’t go wrong… unless you’re a wimp when it comes to spice. Shichimi chilli squid (£6.75) is spicy AF while sticky chicken wings (£6.50) pack the perfect punch of heat. Crispy aromatic duck (£9) was sliced at the table and filled the spot, just as it should. Elsewhere, the signature baked lobster with chilli and garlic (£32) was a welcome take on the garlicky crustacean that I’m used to. Delicious. Always leaving room for dessert, we opted for a couple of ice cream mochis (£3.50 each). Matcha green tea was true to taste, though a little too melted, while sesame was right up the boyfriend’s street; an understated ice cream contrasted with the nutty, savoury taste of a seeded coating. Oddly satisfying. Chopsticks at the ready; Tamashii is all about authentic eats. Looking to get cracking on Islington’s foodie scene? 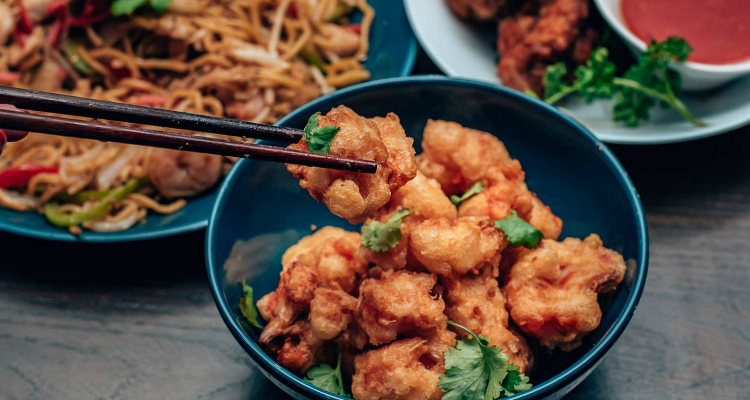 Ditch the knife, fork and overwhelming hubbub of Angel and pick up those chopsticks, because Tamashii is cooking up a tempting mix of authentic East Asian eats in a laid-back setting. Plus, with Coal Drops Yard and Granary Square boasting so many bars within walking distance, you won’t need to look far for that post-dinner digestif.